Man, you sure are het up! Agitated. Can you believe these goddamn coddled athletes/P.C. 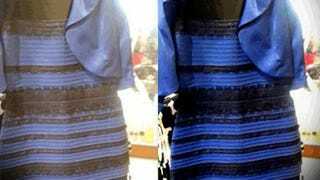 Police/Now Finaglin' Cheatriots/Twitter-celebrated pop stars of possibly dubious talent/people talking about the colors on a dress when we haven't even solved all The Problems yet? I mean, cheese and rice! Where do they get off! Your e-guns are blazin'. Surely, this is the the Good Fight. A drawback of electronic communication is that, in most cases—that is to say, in almost all cases in which you are not Skyping with your goldang hipster grandchildren with their dadgum Intendo Whees and hippity-hop or whatever—you do not have the privilege of seeing when your fervent crusading has caused others to roll their eyes at you and/or have a private laugh at your expense and/or back away from their screens, slowly, hands raised, the way you would if the smelly lunatic mumbling to himself in front of you in the grocery story checkout line suddenly withdrew a hunting knife from his raincoat. This puts you in a tough spot! How will you know when your righteous adjusting of the world's priorities has tipped over into embarrassing, crotchety lunacy? How will you know when you have become an Internet Granddad? 1. If you can feel your pulse racing because you are so fired up, it is time to log off. 2. If you are muttering along with yourself, angrily, as you type, it is time to log off. 3. If you have used—or intend to use, or are willing to use—the terms "clickbait," "bias journalism," "discourse," "bluepill," "fundamentals," "play as a team," "prima donna," or "agenda," it is time to log off. 4. If you are upset because why doesn't anyone want to get to the bottom of this, what are they so afraid of, it is time to log off. 5. If any of the replies to your internet communiqués have contained "lol" or "haha," and you didn't know you were joking, it is time to log off. 6. If you are on Facebook or Twitter or Instagram, or in the comments section of literally any website, it is time to log off. 7. If you care, it is time to log off. 8. It is time to log off. Logging off, though, leaves you at risk of internet (NSFW ALERT) blue balls. You can't just let all those people go on having thoughts and opinions you haven't corrected yet! You can feel the "well actually" roiling beneath your skin; you're pretty sure your actual fingers are swelling from the backed-up wisdom they'd normally be unloading onto a keyboard. If the Gipper had "logged off" from the Cold War, we'd all be speaking Communist today! Gahhhh it is like you will explode! Do not have a stroke. Do not log back in. Do not parachute through the skylight of a mall food court screaming THREAT LEVEL RED either. You are cranky and you need to relax. Below are some good tips for settling yourself down, so that when you log back into the internet, you will be ready to resume forwarding excruciating chain email jokes about liberals with the customary laid-back 'tude and good humor people have come to expect from buicksaregood1174542@earthlink.net. Take the dog for a stroll. Clean and organize some part of your home or workplace. Take Phyllis From Two Doors Down up on her invitation to join her for water aerobics down at the community center, for once. A change of scenery, a little bit of mild physical exertion, and separation from the computer will do you some good. By the time you get back, the whole thing will seem silly. Especially compared to climate change. Chamomile is wonderful for taking the edge off your internet-induced rage storm. A nice cup of chamomile tea, sipped in the comfort of a nice cozy armchair, maybe the dulcet tones of Englebert Humperdink coming over the hi-fi, and that darn Kenya West who does he think he is will be the furthest thing from your newly placid mind. Do it right: Don't microwave the water, but actually boil some water in a teapot and pour it over a teabag in a nice big mug, the kind you can grip with two hands to let it warm your palms. The ritual of it, the patience required, the soothing burble and gentle hiss of the pouring water—it's very calming! 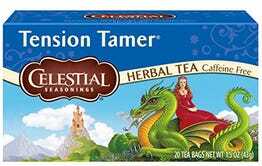 Celestial Seasonings delivers this miracle plant in three lovely products that suit your current needs very well: Tension Tamer, Sleepytime, and Sleepytime Extra. There's a gradient, there. Tension Tamer will make you relaxed and happy; Sleepytime will make you relaxed and happy and drowsy; Sleepytime Extra will make you asleep. None of them will make you log back onto the internet. And, please, don't make it a sneering polemic about Republicons or a feverish tome of warning about how Net Neutrality is the next front in the New World Order. A gripping story is what you're after, here. Something to escape into so you can leave behind the scars from the Dress War of 2015. Explorer yarns are the best. The Lost City of Z tells the gripping story of Percy Fawcett, a famed early-20th-century explorer whose entire party vanished without a trace in pursuit of a fabled Amazonian civilization; its author, David Grann, is one of the best reporters and storytellers alive. If you should happen to find anything instructive in the story of a crotchety old man who followed his outmoded notions, inability to let go of things, and need for vindication into deeper trouble than he could escape, that will be a total coincidence! Then again, that's a fascinating story that might raise your blood pressure. If you're looking for something to help you relax, I recommend a hardcover copy of The First Phone Call from Heaven, by Mitch Albom. The jacket copy alone will put you into a diabetic coma. Don't sleep on (ha!) the restorative powers of the midday nap. Take your tea and your book, stretch out under an afghan or quilt on the sofa, and let yourself catch a few Zs. Or, if you're at the office, draw some wakeful eyes on the front of your spectacles and lean back into your ergonomic chair. There are no Benghazis, no Ballghazis, no ghazis at all, in the Land of Nod, but only peace.